Weight, as in draw weight! Ha! Did I freak you out for a bit? Full disclosure before you read ahead, I am in no way, shape, or form a trainer / coach / fitness expert of any kind! Also, I want to mention that I workout for one reason and one reason alone, to be stronger. Period. I have no interest in competitions of any kind. I’ll leave that whole bikini contest stuff to my little sister, who can rock a darn swimsuit a ton a better than I ever could. See pic below for details. I’m proud of her and her commitment to working out! I, however workout to be a better hunter and a healthier momma and don’t wear a bikini when I am bow hunting so the looking good in a swim suit thing really doesn’t matter much. …years ago, when I first started bow hunting, my first custom bow shopping experience was far from stellar. In fact, it was disheartening. Casey and I walked into a pro shop, asked if I could shoot a few bows to see which I prefer and the owner behind the counter, flat out said no! He explained that he didn’t have anything behind the counter that I could even attempt to pull back, so he’d rather that I didn’t try. 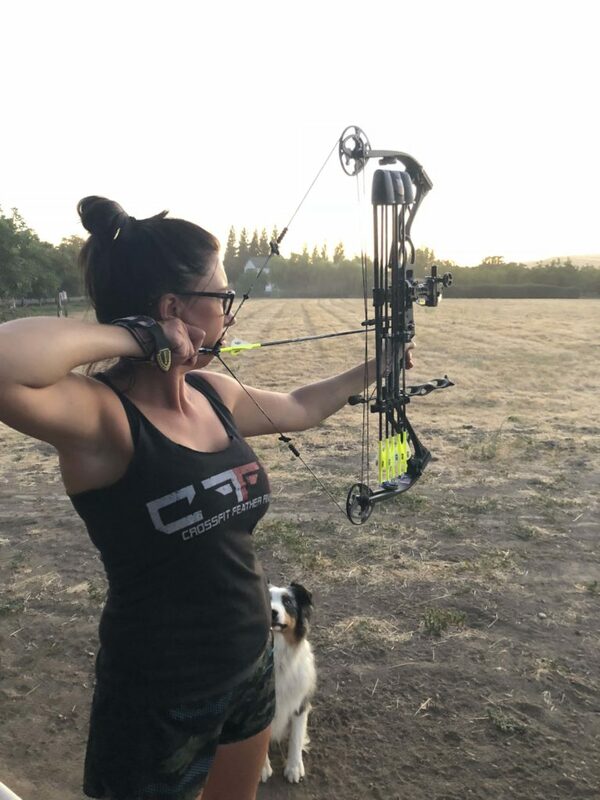 He offered to call a gal that had just purchased the only women’s bow on the market at the time, I think it was the Mathews Passion, and that she might be willing to let me shoot hers. Long story short, I ended up at a better bow shop, that actually let me shoot 5 different bows and bought myself a brand new youth model Mathew’s. I shot that little Ignition for almost five years before upgrading to the Matthew’s Jewel the minute it hit the market way back in 2011! I ordered that Jewel with 50# limbs and even my next bow a few years later, the SDX Chill, was set at 50#. Both bows are incredible bows, but shooting 50# limbs on a 24.5” draw really doesn’t buy you much speed, especially at longer distances. And longer distances is what I need for the spot and stalk style hunting we do. If I wanted to send an arrow faster down range, I was gonna have to start shopping for a 60# bow and I was going to have to build the muscles to draw it back consistently too! Fast forward to now, I have been shooting an Elite Spirit with 60# limbs for the past year. I’ve also been shooting my Chill. But having two bows, is like a crazy love affair, and you just can’t decide which one you want to commit to. I found myself always grabbing the Chill off the bow rack as my go to for any hunt! It was easier and more comfortable to shoot. I had become complacent and pissed myself off once I realized this. After all, I had bought the darn Elite so I could shoot an arrow with more speed and impact, and it was about time I committed to doing that. 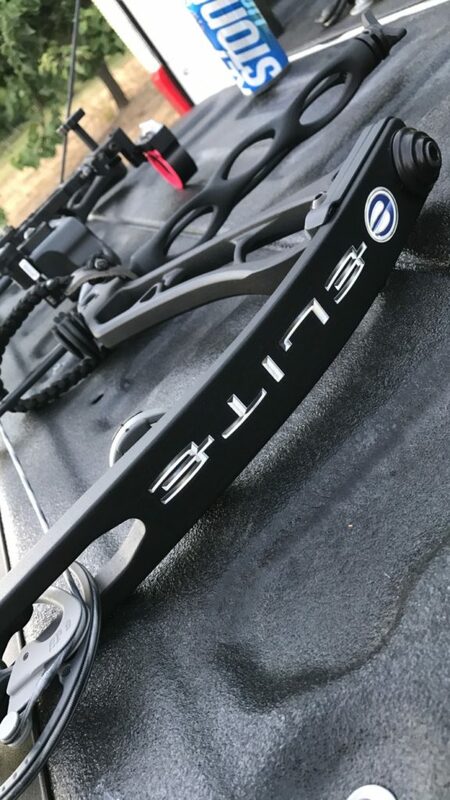 I needed the Elite to be just as comfortable to pull back and shoot as my Chill, and it was going to take some strength training to do that. 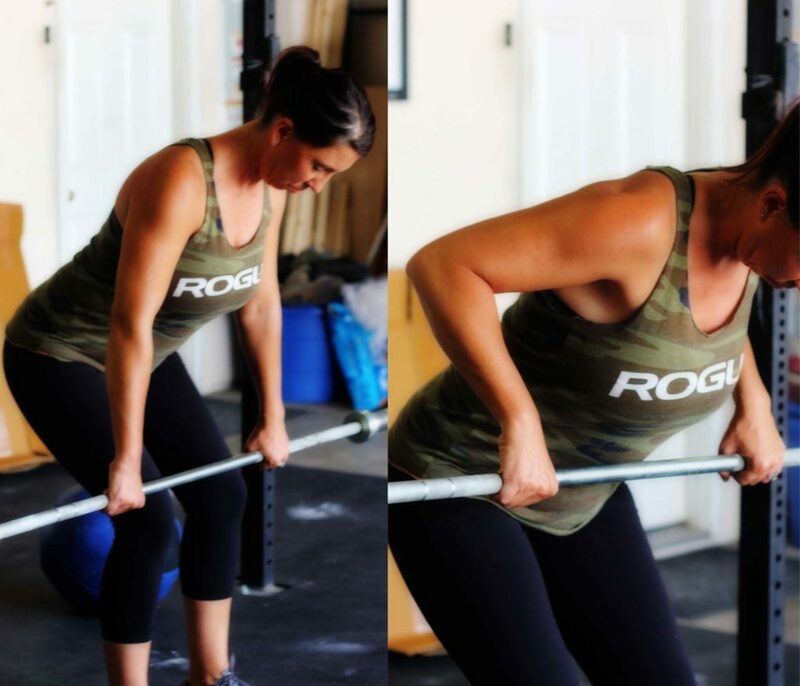 Although my crossfit style workouts keep me strong and fairly fit year round, I needed to add a few additional movements in each week to strengthen and target muscles specifically to increase my draw weight. There are literally dozen of movements that have helped me, but I have narrowed it down to the four that I give the most credit. If you have a goal of drawing back more weight, these movements will certainly help get you there. Best part is they all require very little equipment. 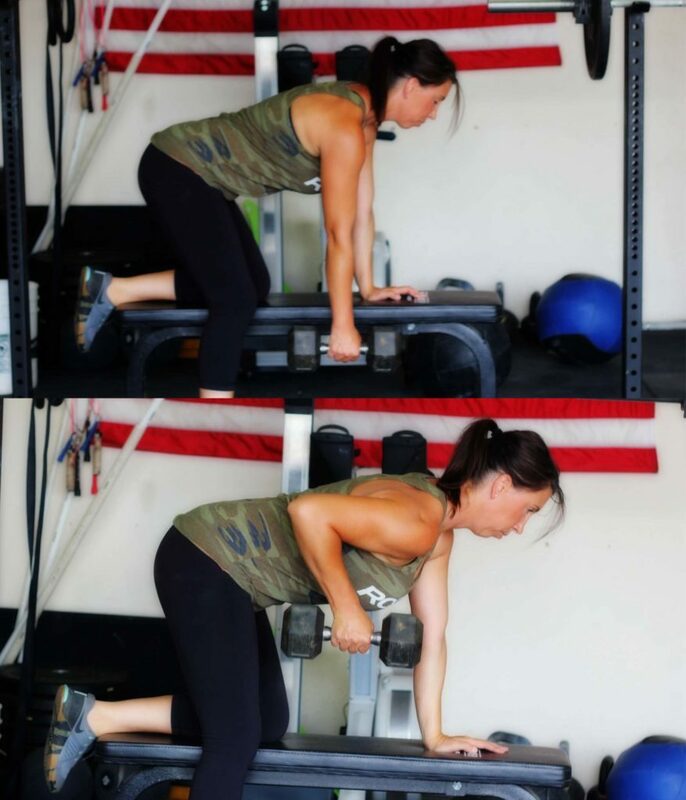 Set yourself up with your dumbbells and a flat bench to support your row. Place one leg on top of the bench with your knee bent, and your hand on the same side of your body at the front of the bench. Raise your chest so that your back is parallel to the ground and your opposite leg should be on the ground providing support. Use the opposite hand to take hold of one of your dumbbells with your palms facing towards your body. Exhale and pull through the elbow (not the biceps) until the dumbbell reaches the side of your chest, underneath your arm pit while maintaining a tight posture and now allowing your back to bend. At the top of the contraction be sure to squeeze your lats, breathe in and then slowly return the weight back down. Hold a barbell, either with a palms up or palms down grip (try both ways) and slightly bend in your knees. Bend the waist to let your torso come forward slightly (almost parallel to the ground). Keep your back straight and your head neutral. 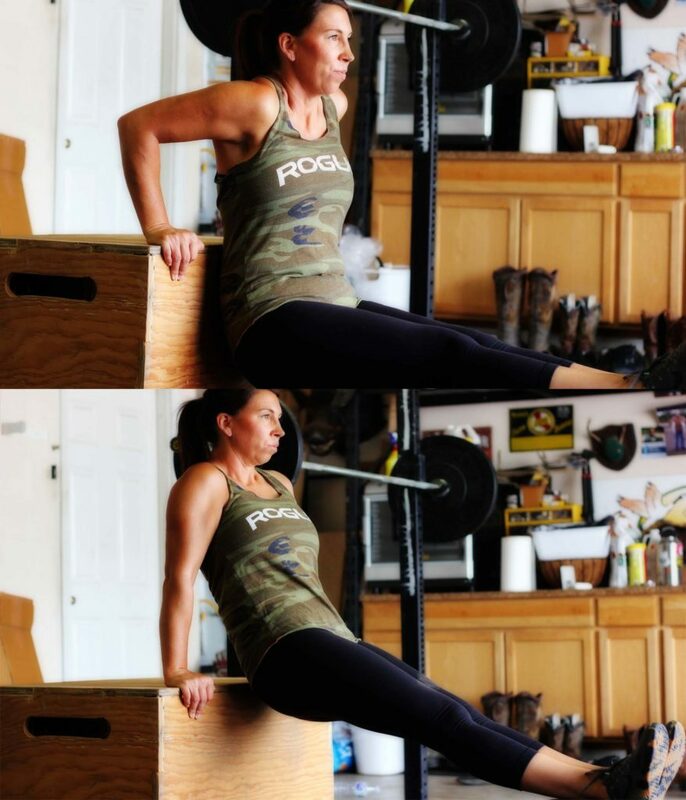 Pull through the elbows until the bar reaches your midsection. Once you have reached a full contraction, squeeze your rhomboids and lats, then slowly begin to lower the bar to starting position. Do 10 to 12 reps per set and aim to do two to three sets. Move the dumb bells to shoulder level with the palms facing forward. 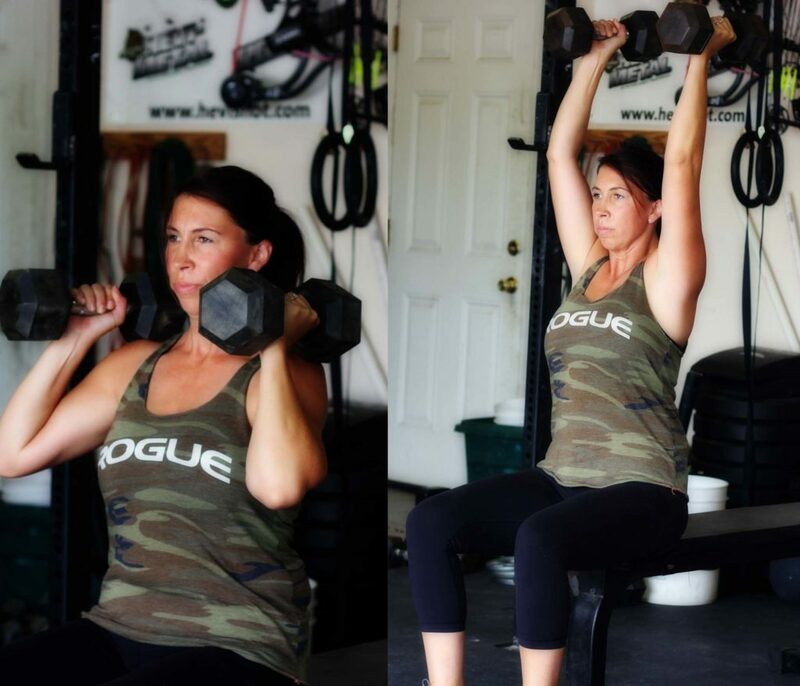 Press both dumb bells vertically until the arms are extended and in line with the shoulders, exhale while pressing. Slowly lower the weight to the start position. Go to failure – as many reps as possible. The movements I have detailed above are all great strength builders, but nothing beats shooting your bow. So get out and shoot as much as you can! It really is the best strength builder and it’s kinda fun too! Please don’t hesitate to reach out to me if you have any questions about the workouts I do, or the bows I shoot! And by all means, if there are any ladies out there who want to just give it a go with this archery thing, just holler at me! I’d love to help you out!